High praise indeed you may well be thinking and you would be correct. However, when it comes to films, especially horror, it takes a lot to get me excited these days. Sure, there are good films coming out, hell, there are even great ones out there, but there is also plenty of middle-of-the-road crap that gets glossed up as the second coming, only to be a total letdown. 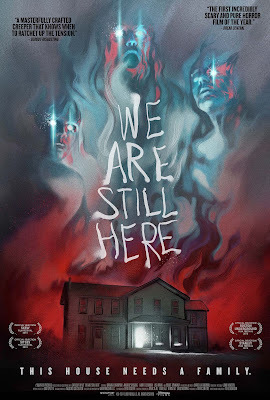 We Are Still Here is a great film and, should there be any justice in this fickle world, is a film that genre fans should be buzzing about. The film itself is one that I have been keeping my eager eye on, ever since I first heard about it. The main reason being is that it is written and direct by Ted Geohegan. Here’s a young fellow that has a true passion for film; writing them, writing about them and promoting them. It’s under the latter category that I first encountered Mr. Geohegan, and I really should thank him, as he introduced me to the wonderful Rare Exports, a few years back. Knowing Geohegan’s background within film fueled my passion to see what he could deliver whilst he sat in the director’s chair, for the first time. It is here that the biggest challenge for me, as a reviewer, arises; I expected a great movie. No, I demanded one. I knew the passion was there, and knew it had to translate to great cinema. Thankfully I was correct. The film itself follows a couple, Paul and Anne (Andrew Sensenig and Barbara Crampton), who move to a new house in the country, following the death of their son. However, their new house isn’t all it appears to be, and someone, or something, is incredibly restless. This is something that is further exacerbated by the residents of the nearby town, in particular Dave McCabe (Monte Markham). We Are Still Here is one of those rare films where everything just clicks. The cast are perfect, in particular a wonderful turn from Larry Fessenden, and it is always an absolute pleasure to see Barbara Crampton on the screen. The writing is pitch-perfect, building the plot slowly up until the terrific climax, whilst injecting some genuine chills, as well as some loving nods to classic Italian Horror. Finally, there is the direction and look and feel of the film, all of which are wonderful. It’s a film that actually looks like a film, and the locations and cinematography, from Karim Hussain, are just gorgeous. I honestly could rattle on about We Are Still Here until my fingers bleed. We won’t do that though as I’m sure I’ll inadvertently end up summoning something nefarious. I think you get the general point of this review though; this is a terrific film. Had it fallen at the other end of the spectrum, and been a complete disaster, I would have been the first to call out Geohegan, and ask him what the hell he was playing at. 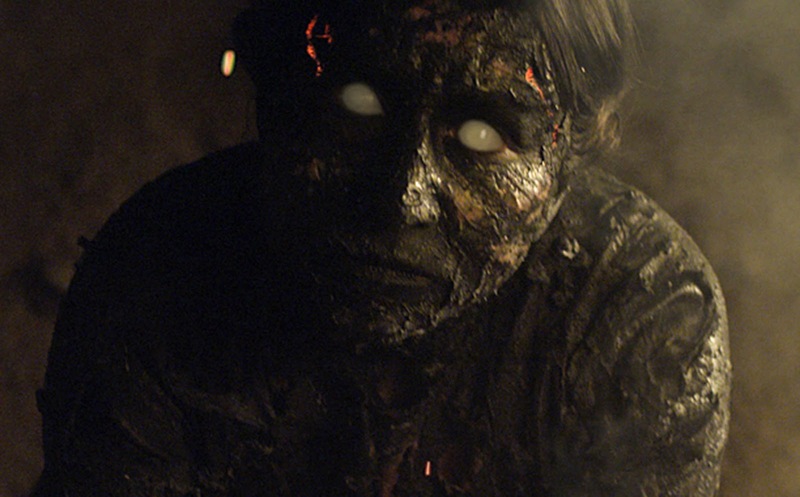 By the same token I must congratulate him, and all those involved in its production, on creating what is most certainly one of the best horror films in recent years. We Are Still Here is available to watch on ITunes, Google Play, VUDU and Amazon, as well as playing select theaters.